Lelo in Nopo: The new economy: an inside eye on my bartering. I’ve been developing some wonderful bartering deals. Business leads for produce, misc homemade food items for eggs, and the biggie, cooking lessons for custom artwork. Of course there’s always the friendly sharing, but there’s something really promising about bartering. Knowledge and expertise for goods, or sharing of abundance and skills. A friend called this the new economy, and to me, it’s just a part of mindful living, and getting outside of an economy that buys buys buys and and a life of go-go-gos. So this post is about a recent cooking lesson with my friend the artist. She’s been wanting to use and cook more with items from the farmer’s market, so we set a list of a few things we’d make together. Homemade pizza, using goods from the market, and a tasty salad with homemade salad dressing was one lesson. This is a standard meal at our house, and easy to make from scratch. With a little bit of work one evening, you can make dinner, as well as lunch the following day, and prep for another night of easy pizza and salad. And, you can use a mix of whatever you’ve got on hand, along with fresh items from the market with what’s in season. Start with the pizza dough. Pizza dough is really easy. No. I mean it. Really easy. And so affordable. And my recipe makes two, so you can mix up the dough, make one, and pop in the fridge the other, for up to a few days. I use the recipe in Serving Up the Harvest, a great cookbook for eating seasonally and with items from farmer’s markets. Heat your oven to 500 degrees. In your standing mixer bowl, combine 3 ¾ cups flour and salt. Measure the warm water into a glass measure, add the yeast, and stir until foamy. Stir in the olive oil into this yeast/water mixture. Attach the dough hook attachment on the mixer and start the mixer. 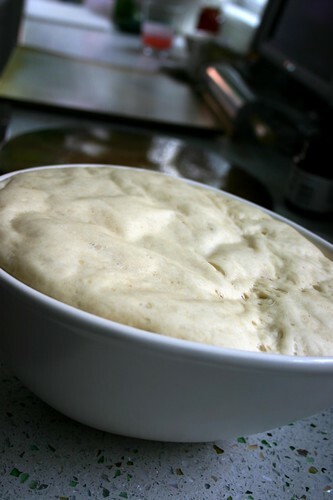 Slowly pour the water mixture into the bowl and process until the dough forms into a ball. Continue to mix for 1 minute to knead the dough. Lightly oil a bowl and place your dough ball in the bowl, turning the dough to coat with the oil. Toss on a towel and let it sit in a warm, draft free area while you prep your pizza toppings. It will double in size over the course of an hour. Almost every pizza I make has carmelized onions. Thinly slice 1-2 sweet onions, and sauté with olive oil over medium heat for about 20 minutes. Don’t let the edges char, keep it stirring, until your onions are a caramel brown color. As for other items, whatever is in season at the market and sounds good to you is up for grabs. The key is to slightly cook/sauté the items, so that they don’t sweat their liquid onto your pizza dough. Mushrooms, peas, asparagus, spinach, kale, these are all great things. As well as roasted red bell peppers. And fresh tomatoes? This is the meal for you. You don’t really need meat, but if you must, we sometimes use spicy turkey sausage. If you make a good handfull of each of these veggies, you'll have enough for several pizzas, and that means no prep when you make that second pizza. Sweet. 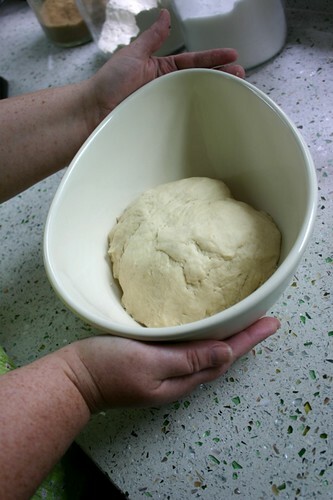 Once the dough has risen, divide into two balls, and with the one ball, stretch it out to the size of your pizza pan. 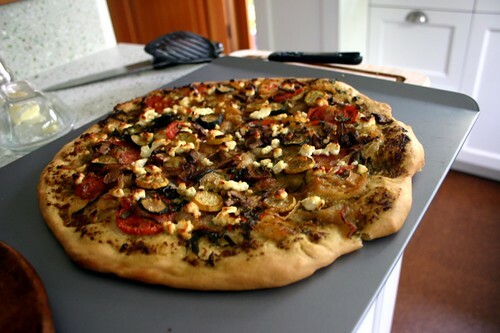 I swear by the pizza stone, because it gives a great crunch to the crust. A little olive oil on the stone helps with that too. We had found some wonderful pesto at the farmer’s market, but if you make your own, this is the time to use 2 or 3 cubes of it. Then add a sprinkling of your vegetables. As for cheese? Our favorite is always feta, but you can use what you like or have on hand. Have an abundance of herbs from your garden? Now would be a great time to use them. Pop it into a very hot oven at 500 degrees, and let that puppy cook for 20 minutes or half hour or so, until the crust is golden brown. The result? Oh, HELL yeah. That looks fabulous! I think you mean "over medium heat", but the results are pretty amazing. One day I will have you, stand mixer. One day. Jarvitron-Thank you: I corrected it. You know, you don't have to have the stand mixer for this: just knead the dough by hand for about 5 minutes and you're good to go. I'm just lazy. Yum. That is a great tip about lightly sauteeing the veggies first. Noted. I am a huge fan of caramelized onions. nice!!! we're having pizza tonight, too---but someone else is making it. i'm trying to start a formal bartering system here, so if you have any ideas let me know. I will barter anything you want for more Wink-lovin'. That dog needs her own website. I'll be her first fan to sign up. Nice recipe, thank you. My husband luvs carmelized onions, so maybe I'll surprise him. This is some of the best pizza I have ever had, and I have had a lot of kick as pizza. I can attest to the ease of the recipe - because I helped make it. 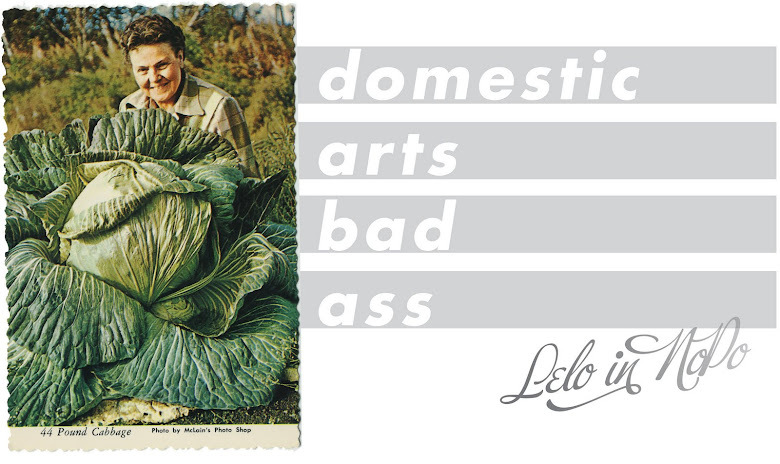 If by helping you mean watching LeLo do most of the work and volunteering for the easy parts. Seriously - the secret is really about sauteeing the veggies first. I love fresh mozzarella, ripe tomatoes and fresh basil. And getting my hands on any dough is a good day. oh my gah that is one of the prettiest pizzas i've seen. WANT. you now have an official fan.